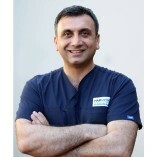 Dr Arslan is a specialist Hair Transplant surgeon. Dr Arslan operates just one patient per day. All the surgical acts are performed by him not by assistants. 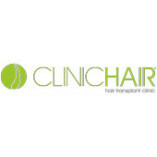 Dr Arslan Musbeh is U.D Trainer Treatment of baldness, University Claude Bernard Lyon in FRANCE and he is a Member of The International Society of Hair Restoration Surgery (ISHRS). Eski Buyukedere Cd, Levent Loft. takes pure pride in his job and stands over all his work unlike most hair doctors that run cattle markets in istanbul. 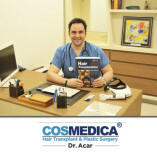 Hairmedico are amazing because of 1 lady , and that is the wonderful Asma. Hospital is like a palace with outstanding staff .i dont know what else to say , only please take my advise as im speaking from experience..look at my video on instagram page and i will keep you all updated of my progress in the coming months as im only home 2 weeks from surgery but my hair looks soooo good.. I didnt just get my hair back, i got new amazing friends for life and thats hairmedico.. Thank you so much my good friend Doctor Arslan..we drink guinness and whiskey in ireland when you come over and thank you to his amazing doctor/tecnicians..
And most of all, thank you to the wonderful Asma..
You are the loviest lady ive ever met that is outstanding at your job. Hairmedico thank you for everything. Chat soon guys.love ye's..
From the beginning to the very end full professionalism. Asma, the clinic's representative and the doctor's translator answered patiently all my questions. During the four months before the surgery she dispelled all my doubts and was a big support. You can contact her anytime on whatsApp, she replies very quickly. Dr. Arsan is a nice person, he has the right approach to the patient, you can feel that he cares about the wellbeing of his patients and that he knows what he is doing. He also doesnt bend the rules and is quite firm but that is all for your good. Only one patient is operated daily and he keeps control over everything. He performed all the most important stages of the operation himself, and gave the rest to the trained team, which he constantly supervised. At the beginning it is very difficult to choose a clinic in Turkey as there are so many of them. Not all of the are good. Dr Arsan is recommended by ISHRS and mainly thanks to this I made my choise. The surgery itself was painless. the only pain I felt was during anesthesia, literally a few minutes. After the treatment, be prepared for a light headache and general weakness. It is goood to come with someone who can support you. Aftre a few nights the neck might also hurt from the uncomfortable position in which you need to sleep, but it is a very low price for getting your hair back. I had 4,000 grafts transplanted, whole the baldness was covered and the procedure lasted 7 hours. The price included one PRP session and two washes. They also changed the dressings twice. Medications and transfers were all inclucuded in the price and I did not have to worry about anything. It is worth coming to Turkey for more than 3 days and to do one more PRP which will speed up the healing process which I did as by doctors advice. Generally speaking, I am very pleased. I can honestly recommend Dr. Arsan's clinic to everyone, and I cant thank him and his team enough. Now I just need to wait for the results which I am sure will be fantastic. I want to thank Dr. Arslan and all his team for the work that has been done on me It’s been 3 months since I performed a hair transplant surgery and I already start having the first result and I’m very happy.